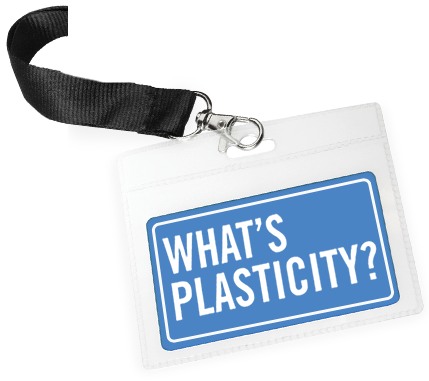 Plasticity Forum | What's Plasticity? Join the big conversation on bringing plastic into a circular economy, where it does not become waste. Plasticity Pacific, to be held at the Grand Pacific Hotel in Suva, Fiji on March 13th, is focused on island nations and smaller communities anywhere in the world. Thank you to the UN Secretary General’s Special Envoy to the Ocean, and Fijian, Mr. Peter Thomson, for the great support for Plasticity Pacific in Fiji. The solutions discussed by expert innovators, and those from industry and government, will be sharing options which are sized appropriately for the communities they are designed to help, bringing value to plastic in its 2nd life, so it does not become waste. Thanks to everyone from the government, industry, brands, entrepreneurs and do-ers, who were part of our Plasticity Malaysia forum in Kuala Lumpur on October 25th. We look forward to seeing some of our at our Plasticity Oceania event in Fiji in early March, 2019, with an island and smaller community focus. Photos and presentations of the Plasticity Malaysia event can be found here. Thanks especially to MPMA, Ritz Carlton, YTL, Petronas, Coca Cola and Nestle. You can also find information on our new site here. To find more about our speakers here for Plasticity Sydney. Presentations of each speaker can be found here, with video clips of each talk will be coming out shortly. You can see some of the FB Live clips here. Plasticity California presentations and videos to all of the talks are available on our Blog page. You can also find some news from our Plasticity Texas event. Plasticity Texas presentations and videos to all of the talks are available on our Blog page. A “Plasticity “Light” version was held on Saturday for the general public, and a Facebook Live video can be seen from the 1hr 25min section. 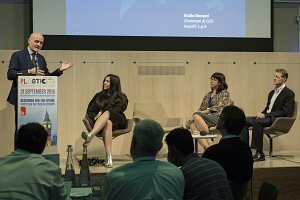 The 6th Plasticity Forum – “Designing for the Future – Plastic and the Circular Economy” was held in London as part of the London Design Festival on September 21st. The event helped to bridge the gap between the design community, and experts who work with plastic, recycling and the aspects of sustainability which relate to waste reduction. Download Press Release Here. Plasticity London followed on from the spring event in Shanghai, again bringing together experts from across the plastics spectrum to discuss innovation and the dynamics of scaling processes, materials and recycling to reduce waste and create value. Plasticity is a unique event, convening global experts from across the plastic spectrum to share experiences on opportunities and challenges with plastic sustainability and inclusion in the circular economy, thus bringing about the large scale changes that are required in order to reduce its waste impacts. The event offers “a big conversation on the future of plastic,” and discusses where opportunities can be created related to recycled content, resource recovery, job creation and waste reduction. The event was positioned as part of the London Design Festival because frequently design community is not at the table regarding sustainability discussions, options and opportunities. Designers therefore may not realize all of the issues and complexities which are associated with plastic vis-à-vis materials, processes and recycled content which could make big impacts in reducing the waste footprint associated with plastic products, and where improvements can positively impact the products and brands they work with. Some of the global expert speakers in this uniquely focused event, which covers a wide spectrum of topics within the plastic space, included Mr. Chris Grantham, Circular Economy Portfolio Director from one of the world’s leading design companies, IDEO, Mr. Peter Lacy, Global Managing Director of Sustainability Services at Accenture, Mr. Willem De Vos, CEO of the Society of Plastics Engineers, and Mr. Simon Widmer, Project Manager – Circular Design, Ellen MacCarthur Foundation. 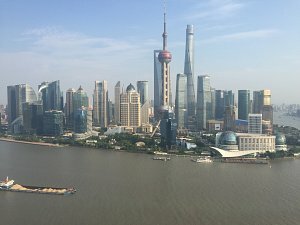 Presentations and videos of speeches from Shanghai are available here. Plasticity Shanghai took place in April, with great success, and the first discussion of its type on plastic sustainability in China. Our press release was picked up by publications with a reach of over 385 million readers, so we believe that this was a very positive launch of a big discussion on plastic sustainability, and where the leaders are going with design, innovation, materials, recycling, and a world for a reduced waste footprint. Event photos can be viewed here. This event was held during the same week as CHINAPLAS 2016, and included a tour to the world’s 2nd biggest plastic trade show. The Plasticity Forum also included a 1/2-day workshop called “Go Circular – Envisioning Products and Packaging in a Circular Economy” that was held in conjunction with our partners, Successful Design, CBi China Bridge, and Green Initiatives. We also are pleased to announce a new report by Trucost plc, one of our partners, that is one of the world’s first studies to assess the Net Benefit Analysis of sustainable plastic solutions, with Dell and Algix. If their new materials, use of recycled content and reduced packaging were to be replicated across their industries, the benefit to the global environment and our communities would be valued at over US$3.5bn annually. You can read the press release here and download the Report Here. Event Testimonial: “I arrived in Shanghai from Australia for Plasticity, not entirely sure of what was to unfold. As a small business looking for opportunities to grow, Plasticity was more rewarding than I could have hoped for. A day of passionate talks from some of the world’s leading minds raising awareness of the scale of the plastics problem, the role of global business in accepting responsibility, and the urgency with which business and government must act to slow plastic pollution and, as I learnt was possible, eventually reverse it. I left Plasticity with a sense of hope and even excitement, buzzing with ideas for our business to harness this urgency and shape our future beyond a zero-waste, circular economy, realising the potential to go even further, reducing waste to landfill by manufacturing our glasses frames and cases (even uniforms and lens cloths!) from post consumer waste. It was not just hope and excitement, but also a pocket full of email addresses of people with the know-how, contacts and just as much passion to help make these ideas a reality. I arrived back to the Dresden team in Sydney with excited plans to use a variety of post consumer ‘waste’, launching each as an individual ‘range’ that tells the story of each plastic as a valuable resource rather than waste, and a greater awareness of the “true cost” of our decisions as a business. A fantastic couple days of contagious passion and innovation. Plasticity is about the future of our planet and what every player in the plastics industry can and must do to improve our communities and waters by bringing plastic into a circular economy. The Plasticity Forum took place during the same week as CHINAPLAS 2016, the 30th International Exhibition on Plastics and Rubber Industries, which was held from the 25th to 28th April, at the Shanghai New International Expo Centre (SNIEC). As Asia’s No. 1 and world’s No. 2 plastics and rubber exhibition, CHINAPLAS has been at the forefront in driving the development and upgrade of China’s and the global plastics industry. With the robust growth of the manufacturing industry around the world, coupled with China’s continuous integration into the global economy, the scale of this show has been expanding over the past three decades. In order to celebrate its 30th edition, which marks a new milestone of the show, the Organizer unveils the new brand image of CHINAPLAS to enhance its professionalism and internationalism. Last year, The Plasticity Forum held its 4th annual event on June 8 – 9th in Cascais, Portugal. Click here to see all the excellent presentations. Building on the success of the previous Plasticity Forums in Rio de Janeiro, Hong Kong and New York, the European event focused on “Designing for Circularity, Customer Engagement, Reverse Supply Chains and Reaching Scale.” Click here to read our press release. It’s versatile, it’s cheap, and it’s incredibly convenient. Yet despite being designed to throw away, plastic simply doesn’t go away. Plasticity is unique in its forward looking, collaborative discussion on what is happening, and how we can work together, to scale waste reduction of this valuable resource. The event brings together decision makers, innovators, brands, international associations, policy makers, and many more. You won’t want to miss this big discussion on plastic, and what companies and organizations are doing to reduce its waste impact. Every year 280 million tons of plastic is produced globally, yet estimates suggest that only 10% each year is actually recycled. Capturing this waste stream presents a significant and untapped business opportunity, as does the redesign of packaging, and the thought process around waste creation. The Plasticity Forum presents ideas and opens up discussions on how to harness this material in new ways, both “pre” and “post” consumer use. We address design, materials, innovations, re-use, and waste reduction in the aim of encouraging further innovations within plastic use and powerful collaborations between our community which includes producers, users, recyclers, designers, innovators and entrepreneurs. The forum is taking place during the same week as Chinaplas 2016, and will include a tour to that event. The first Plasticity Forum was held in Rio de Janeiro at the the Rio+20 Earth Summit, and was followed by successful events in Hong Kong, New York and Portugal. Plasticity is about bringing together leaders who can learn and collaborate with one another to help scale up some of the great solutions which are now coming to market. The goal is to have a world where plastic is used, but without creating a plastic footprint on our communities. Plasticity Forums showcase sustainable solutions and market opportunities for transforming plastic waste into a valuable resource.